Craving a light and flavorful snack? Reach for a bowl of popcorn! You can customize the flavor with any combo of McCormick® herbs and spices. Try our savory Mediterranean Spiced Popcorn or our sticky-sweet Caramel Cinnamon Popcorn recipes. This article is brought to you by Penguin Random House. Head here to learn more about Danny Seo's Naturally Delicious: 100 Recipes for Healthy Eats That Make You Happy. One by one, plucked like a little piece of treasure while the bag lasts forever, or stuffed by the fistful into mouths and finished off in a couple of minutes, popcorn drives different strategies of consuming. I'm in the second camp, and I tell myself it's because I just love the snack so much, not because I have no self-control. But, look, you and I both know homemade popcorn can be bland, even when you try to dress it up. All the salt falls to the bottom, the butter only hits what seems like one or two kernels, or half the bag or pot has somehow not popped. There seems to be minimal ways to infuse it with the crazy, umami-packed buttery flavor that the store-bought stuff packs (we do know a few tricks, though). And I'm going to incriminate myself for having little creativity here—I didn't realize you could hack a homemade microwave popcorn bag with a basic brown lunch bag, not until I encountered environmental and nutrition entrepreneur Danny Seo's version. 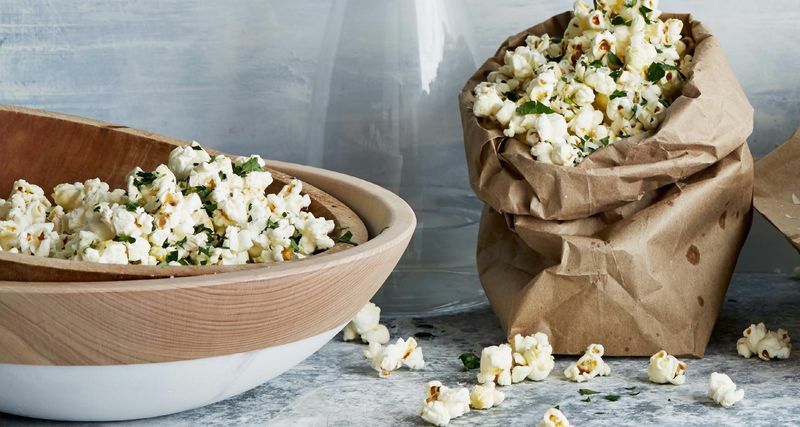 In Danny's new cookbook, Naturally Delicious: 100 Recipes For Healthy Eats That Make You Happy, he offers up a simplified version to make basic popcorn at home. All you need is a few minutes, a brown paper lunch bag, and 1/3 cup of popcorn kernels. Pop the kernels into the bag, fold down it's top, and stick it in the microwave for 4 minutes. That's it, without all the chemicals of pre-made, store-bought microwave bags. It's a blank canvas for playing around with, and the best part is that he's got suggestions to make it jazzier, from using what's in your pantry to going all out with the likes of truffle oil or matcha powder. 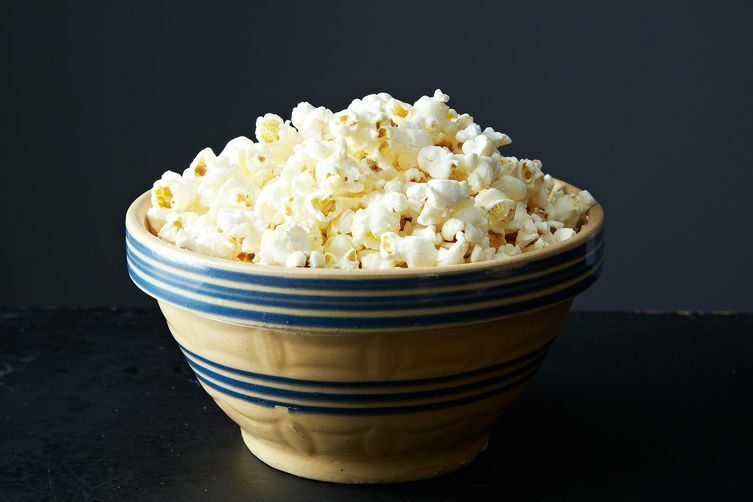 Even if you're making popcorn on the stove, you can use these strategies to kick some dust up in the flavor department. Here are Danny's 5 go-to ways to give simple popcorn a bump in flavor, soon to be some of your favorites, too. 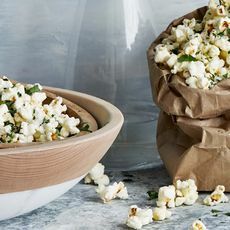 Truffle Parmesan: While your popcorn is still hot, sprinkle in 2/3 cup freshly-grated Parmesan, 1/2 teaspoon truffle oil, 2 tablespoons chopped fresh parsley, and salt. Shake to combine, and then grab a handful! Chipotle Maple: Preheat the oven to 300°F. In a small saucepan over medium heat, combine 1/2 cup maple syrup, 2 tablespoons extra-virgin olive oil, 1 teaspoon ground chipotle pepper, and 1/2 teaspoon salt. Bring to a boil over medium heat, stirring just until combined. Pour the prepared popcorn onto a parchment-lined baking sheet and drizzle the syrup evenly over it. Toss with a rubber spatula to coat thoroughly, and bake for 15 minutes. Let it cool before digging in. Peanut-Banana: Preheat the oven to 300°F. In a small saucepan over medium heat, combine 1/2 cup honey, 1/4 cup maple syrup, 1/2 cup peanut butter, 1/2 teaspoon vanilla extract, and 1/2 teaspoon salt, stirring until smooth. Pour the prepared popcorn onto a parchment-lined baking sheet, sprinkle on 1/2 cup dried banana chips and 1/4 cup dark chocolate chips, and then drizzle the syrup evenly over everything. Toss with a rubber spatula to coat thoroughly, and bake for 10 minutes. Let it cool and then go for it. Thai Chile: In medium bowl, lightly coat 1/3 cup popcorn kernels with a small amount of coconut oil, about ½ teaspoon. Place in a paper bag, folding the end of the bag a few times to create a durable seal. Place the bag in microwave and cook for 2 minutes, or until 2 to 3 seconds pass between popping sounds. In a nonstick pan over medium heat, combine 1 1/2 tablespoons coconut oil and 2 minced garlic cloves and cook for 30 seconds, or until golden. Add 1/2 cup peanuts, 1/2 teaspoon ground red chili, 1 teaspoon honey, 1 lime’s worth of juice and zest, and 1/2 teaspoon sea salt and cook for an additional minute. Toss spiced peanut mixture with popcorn until evenly distributed and go to town. White Chocolate Matcha: In medium bowl, lightly coat 1/3 cup popcorn kernels with a small amount of coconut oil, about ½ teaspoon. Place in a paper bag, folding the end of the bag a few times to create a durable seal. Place bag in microwave and cook for 2 minutes, or until 2 to 3 seconds pass between popping sounds. Place 1 cup white chocolate chips and 1 1/2 tablespoons coconut oil in a small microwave safe bowl. Microwave chocolate for 20 to 30 seconds, or just until melted. Toss popcorn with the melted white chocolate and 1/2 teaspoon coarse sea salt. 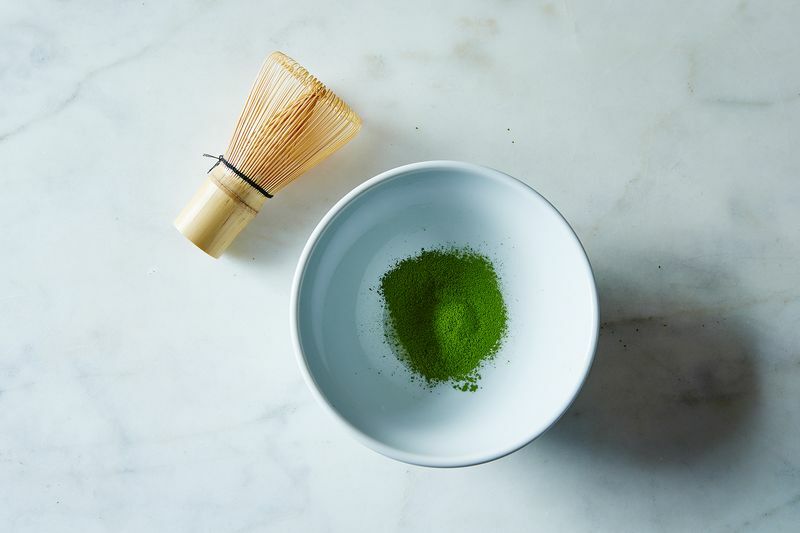 Gently sprinkle with 2 tablespoons matcha powder and get some napkins out—this might get messy. This article was written by Samantha Weiss Hills from Food52 and was legally licensed through the NewsCred publisher network.